Explorers PowerPoint: Technology Explorers Used- Early explorers used different types of technology to help them navigate. This PowerPoint was made to show students pictures of the types of technology that explorers used as they were trying to discover and claim new land. 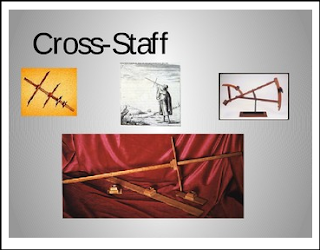 It's one thing to explain what these items/objects are, but showing students pictures will help them understand their purposes then (and even now). The items were chosen based on the items listed in my social studies curriculum. I understand that this may vary based on text, program, or grade level. However, there are some neat pictures. On page two of the PowerPoint, there is chart that students can use to follow along and take some notes. Just print page 2 of the PowerPoint to pass out to your students.